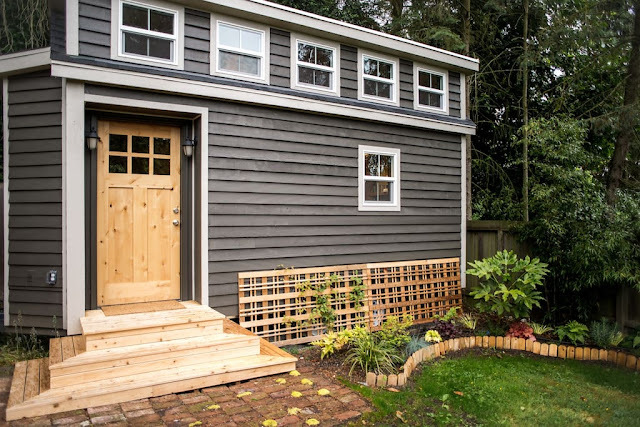 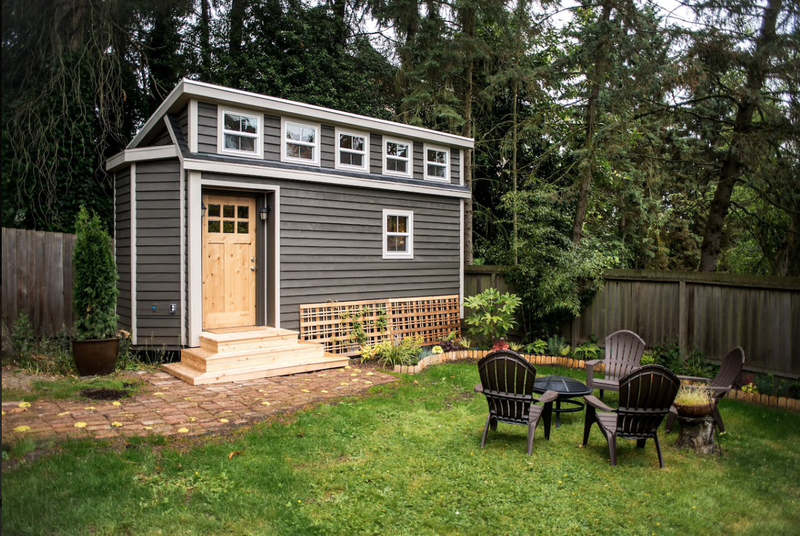 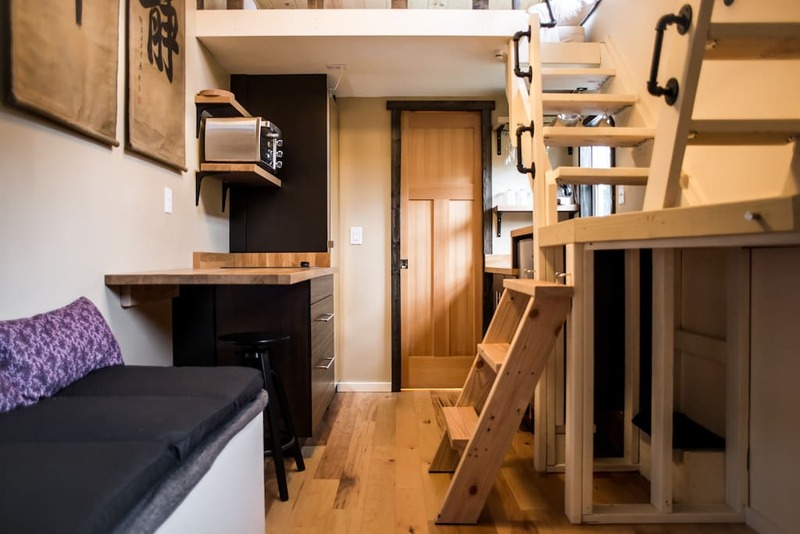 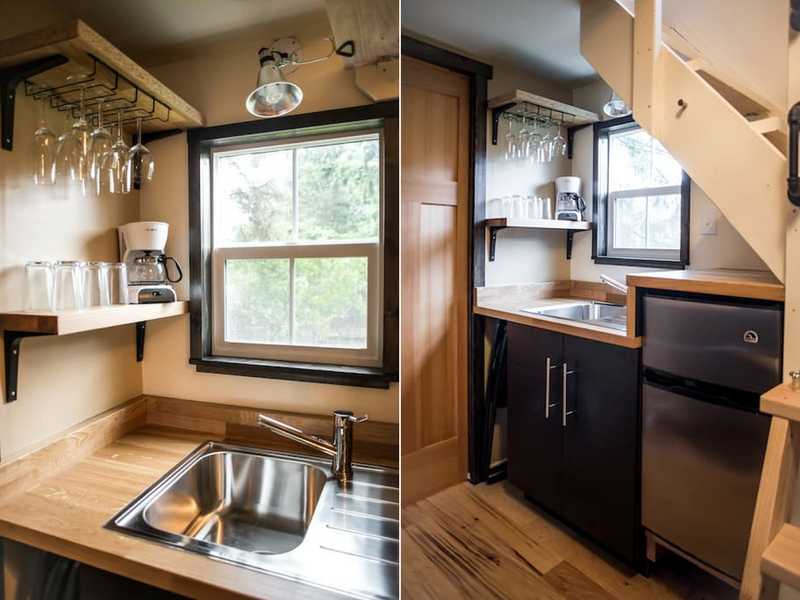 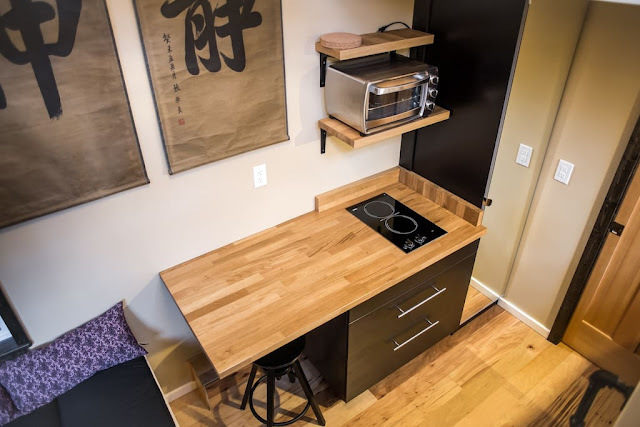 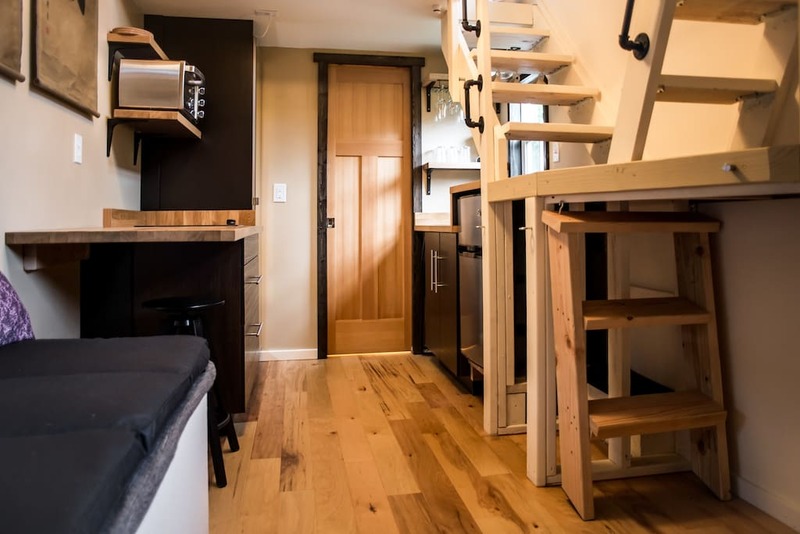 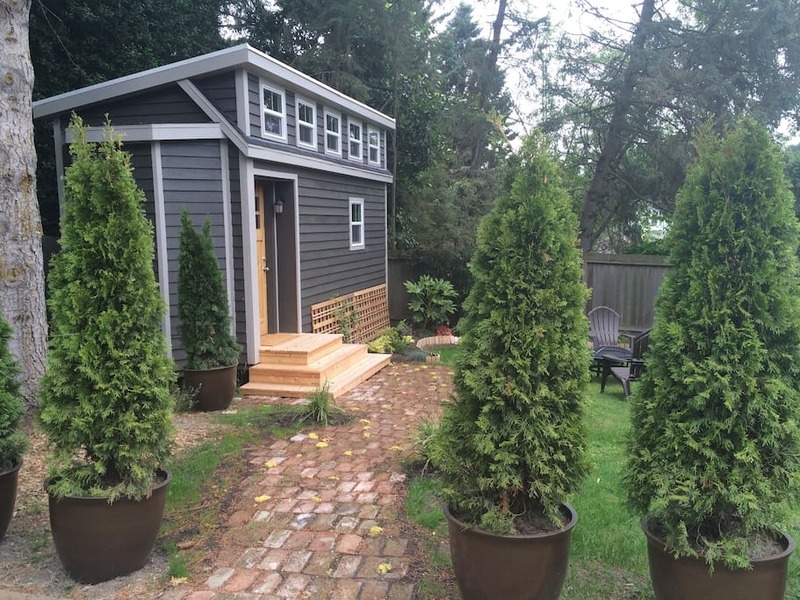 This tiny house makes for a cozy retreat from the hustle and bustle of Seattle life. Offered as a rental on Airbnb, the home makes for a unique getaway for those looking for a cool alternative to a traditional hotel. 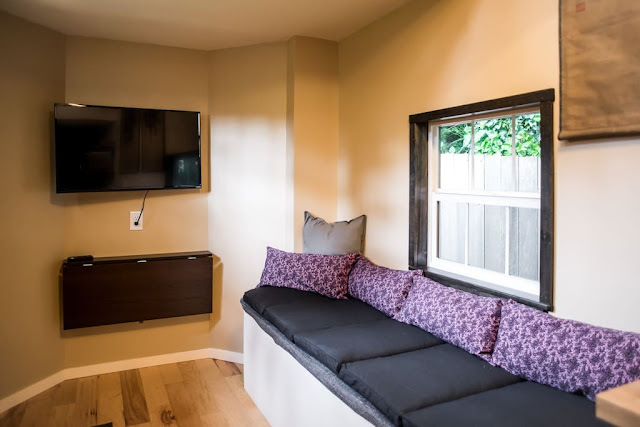 The home's interior features an Asian-inspired design with room to comfortably sleep up to three people. 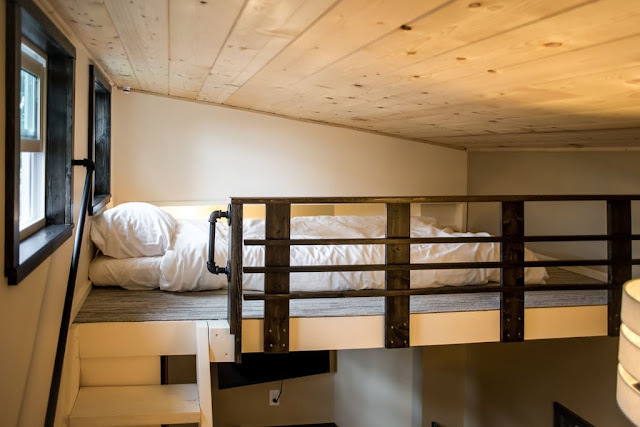 There are two loft spaces; one with a queen-sized bed and another with a twin. On the main floor, you'll find the home's kitchen which comes equipped with a two-burner stove and a mini fridge/freezer. 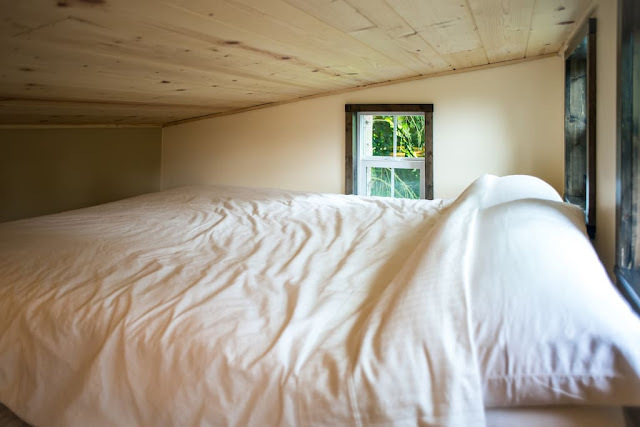 There are also heated floors throughout the first floor to keep you cozy. 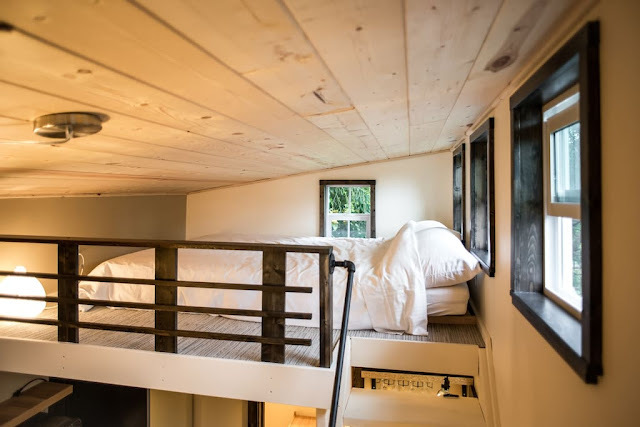 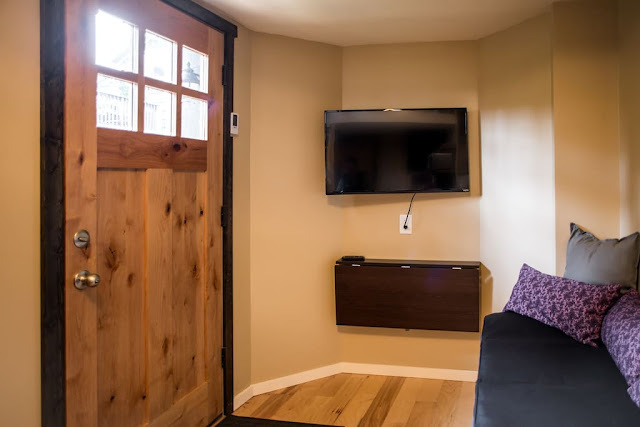 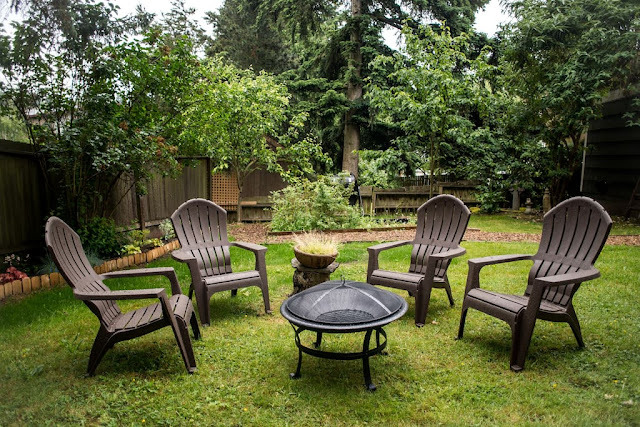 You can view the home's Airbnb listing here for more info or to book.